There are only two games left in the regular season and IceNine will collide with 4F Tuesday night at 9est on springstreet/shadowstep in week 6. 4F can always be dangerous with Hyperlite and Deadly in the lineup but IceNine will try to remain prefect. Check back for the cast info. 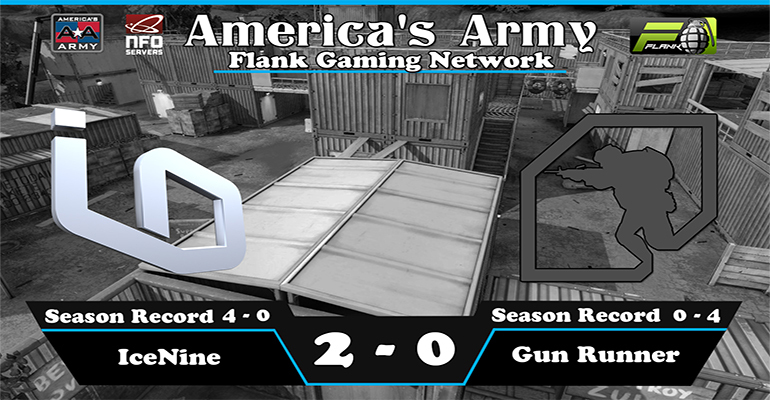 IceNine stayed on pace and took out Nine Eleven last night 20-8. A couple rounds IceNine played very sloppy and in which case lead to losing 3-4 rounds. Overall it was a good night and Nine Eleven played well. 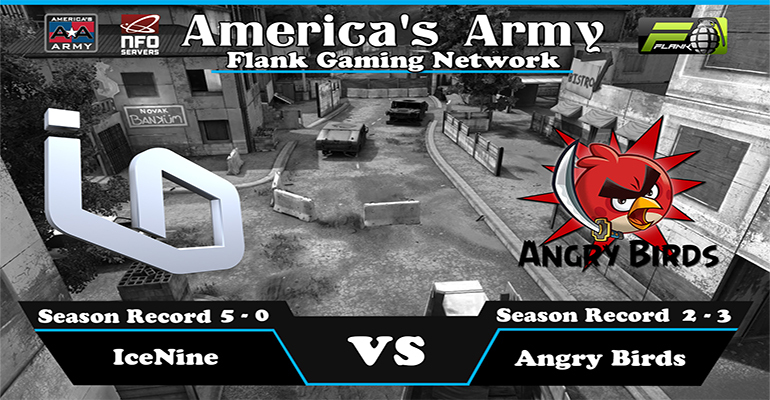 Week 5 of the FGN season 2 continues tonight and IceNine will face Nine Eleven on Siege/Intercept. 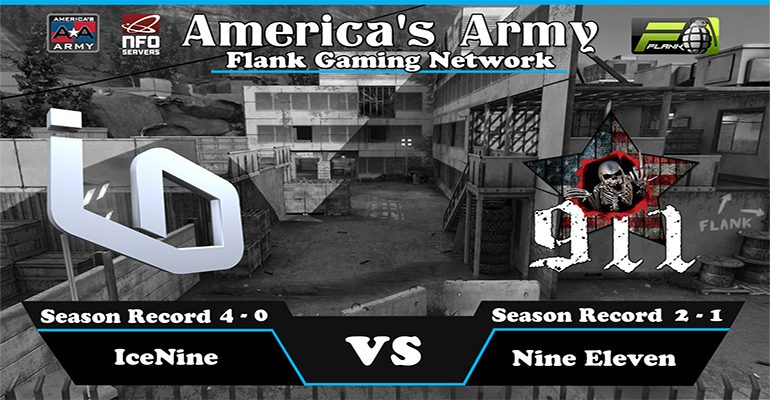 IceNine is sitting at 4-0 and is currently in first place but Nine Eleven will be looking to end IceNines winning streak. Check back before the 9PM EST start time for cast information.